Because Shanna Said So...: In a Pikle? Dill with it. No, this time I did not misspell any words in my post title. 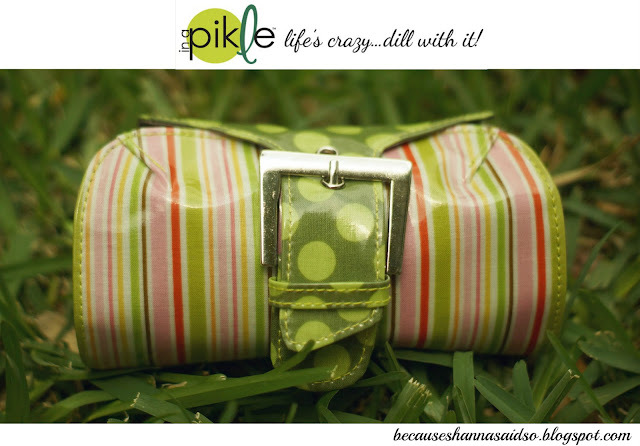 When I say, "pikle" I am speaking of the cutest online store I ever did see, In a Pikle. Ladies, if you read any blog post today read this one. No, not because of anything spectacular I have done, but because you need to know about this company. Believe me. 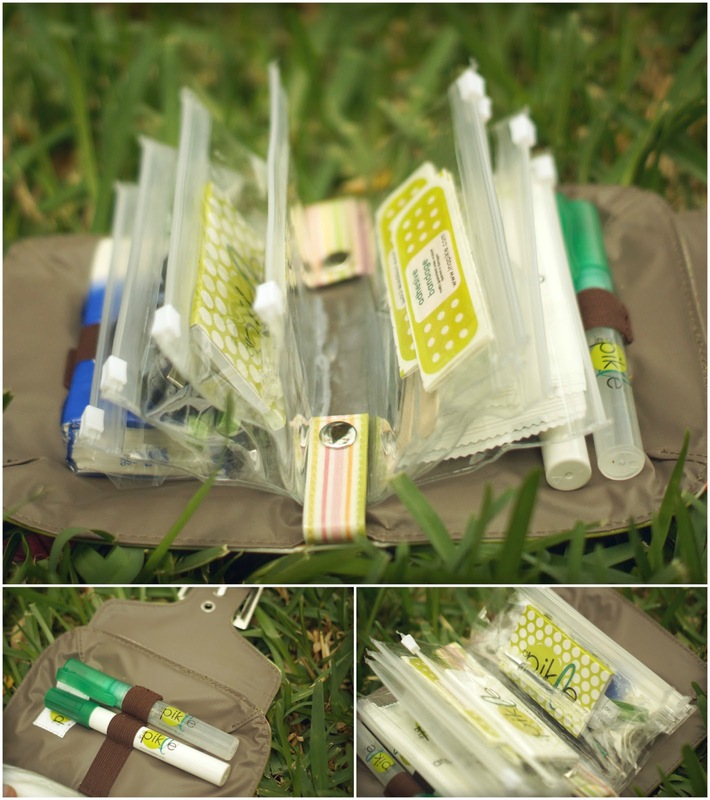 My sweet friend Laura who works for In a Pikle contacted me to do a review of one of their products. Once I clicked on their website I immediately squealed out loud and kindly quickly accepted her offer. Before we get to all the enchanting pictures and goodies, let me explain in a nutshell. We have all been in a "pikle" before; most likely on the daily. Stain on my shirt from my Diet Dr. Pepper. Man, I need a hair tie. Gross, she just sneezed and shook my hand. Sanitizer, please? Another button popped off my shirt. Whaaaaa? Something is in my tooth and I need a mirror and some major floss. You know what I am talking about. We have all been there. Well, In a Pikle is here to save your day...in adorable heroic style. 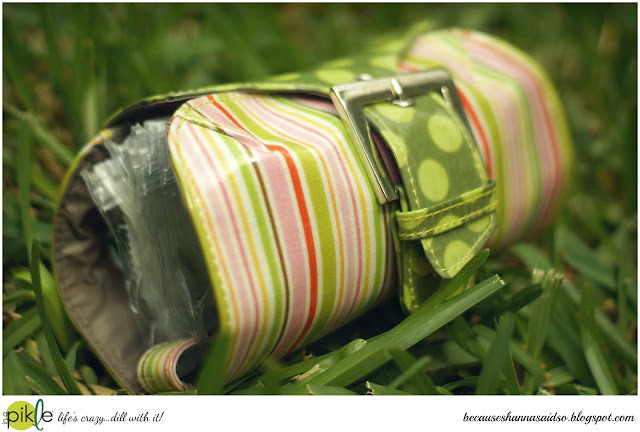 All the stuff that gets lost at the bottom of your bag can now be rescued and tucked away into a trendy little spot. Toss it in your bag, keep it in your car or stash it in your drawer at the office. I told you to trust me. The cutest thing ever, right? I am a HUGE supporter of women following their dreams and these two ladies responsible for this venture did just that! They followed their gut and their dreams. It began as a friendship being next door neighbors. Then a simple idea turned into something magical for our benefit. In a Pikle is perfect for bridal party gifts, new moms, teachers, Mother's Day and well, any occasion for that special lady friend in your life. They come in an array of styles and options. I can guarantee this is something that will catch your attention and make you want to whip out your credit card faster than pouring a glass a wine at the end of the day. Want better news? 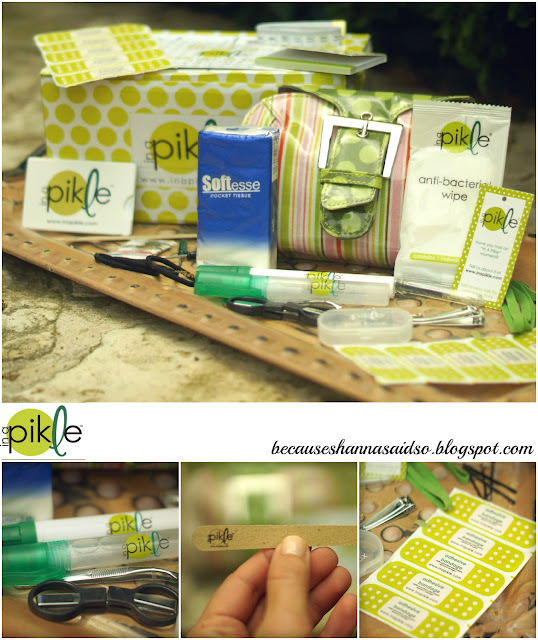 In a Pikle is hosting a giveaway on their blog right now. Just follow the Rafflecopter below and enter to win! In the meantime, use the code "shannasaidso" for a 10% discount on your first order. Happy shopping and gift giving! Don't ever get yourself in a pickle without In a Pikle. So cute and functional! And such a great story of the women behind the company! What a cute product and the name makes it even cuter! This is so cute and SUCH a great idea! Just entered!! WOW! What a cute idea and an adorable name! I am definitely going to check out In a Pikle! This is so cute and so practical! I love it. What a great idea!! These ladies definitely know what they are doing!! Thanks for sharing! i love the name! and when i first looked at the title i did question it haha!! I absolutely love this idea! I want one in my car, in my office, in my bathroom.. everywhere! I hope you will always continue to feature the small, independently run women businesses Shanna, I think it is absolutely commendable and such a wonderful way to support, love you for it! Such a cute product! Thanks for sharing :) I need one for everywhere! Happy Thursday! Wow that is seriously so neat! I just found your blog and think you are the cutest thing ever! The vlog you did when you won the US Ambassador was so touching! I love this bag and am ordering one for mothers day. It is so awesome! SO cute, I may have just found my SIL a gift for her first mother's day! how cute is that?! love! How adorable!! What a great idea for a gift or to keep in the car. they really do have some darling stuff!! SO creative, adorable and awesome! I love my pikle so much that started to sell them .... I never leave home with out it! they are a life saver!! let me know if you need help deciding which one you want. www.parties.inapikle.com/tennille enjoy your pikle!